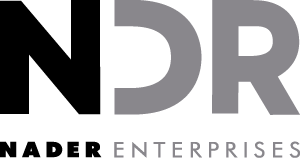 Nader Enterprises – an entrepreneurial investment, development and asset management firm. NADER ENTERPRISES IS A PRIVATELY HELD INVESTMENT, DEVELOPMENT AND ASSET MANAGEMENT FIRM WITH A PRIMARY FOCUS ON REAL ESTATE ESTABLISHED IN THE DOMINICAN REPUBLIC. WORLD CLASS ASSETS IN UNIQUE, STRATEGIC LOCATIONS. LONG TERM INVESTORS INVESTING ACROSS DIFFERENT PROPERTY TYPES AND RISK PROFILES. FOCUSED ON VALUE CREATION. UNIQUE, DIFFERENTIATED PROJECTS THAT SELL THEMSELVES. HIGH-QUALITY INVESTMENTS PART OF A DIVERSIFIED PORTFOLIO. 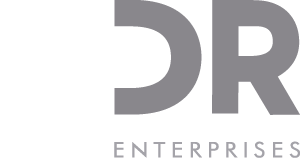 Nader Enterprises is a privately held Investment, Development and Asset Management firm with a primary focus on Real Estate established in the Dominican Republic. Founded by George Alexander Nader in 2006, Nader Enterprises employs an extraordinary team of professionals with an unparalleled work ethic and a singular devotion to each one of our projects and companies. As an entrepreneurial firm, we have a strong drive to succeed and excel at everything we do and are capable of acting fast, adjusting and operating as the opportunities arise and the circumstances require. Our business model and overall investment strategy is based on a proactive participation in each of our projects, portfolio companies and investments. With a clear vision and by combining investment and business development capabilities with a solid organizational and financial platform, Nader Enterprises is positioned to continue growing existing businesses, develop new companies and projects and take advantage of business and investment opportunities in a wide range of industries and asset classes. Through our investments, projects and operating companies we seek to create a better Dominican Republic, foster entrepreneurship, promote our country and our talent and add value to all of our stakeholders. To emerge as the premier investment, development and asset management firm of the Dominican Republic by building and managing a portfolio of sustainable investments, projects and operating companies. Nader Enterprises knows Real Estate. Through the company’s different subsidiaries, we acquire, remodel, lease, sell, manage, finance and develop different types of properties throughout the Dominican Republic. Our portfolio is currently comprised of a land bank of strategically located properties in select tourist destinations, residential and commercial properties around the country, commercial and retail developments in Santo Domingo and timberlands in San Pedro de Macorís. We are Entrepreneurs that believe in developing more Entrepreneurs in the Dominican Republic. We actively seeking investment opportunities in technology-based companies and startups that are innovative, forward-looking and have the potential to grow exponentially out of the Dominican Republic. "Our purpose is to create and maximize value over the long term through our business activities. Nader Enterprises believes in partnership, in fostering mutually beneficial relationships and in creating a positive impact in the community. We want to make a difference. We are excited to share with you what we are doing and how we are doing it. The Dominican Republic has an enormous amount of potential and through our economic and social endeavors, we are committed to the country's growth and development. If you would like to learn more about Nader Enterprises please fill out this form and send us a message.